Martha Stewart is apparently becoming the Encyclopedia Britannica of homemaking. Encyclopedia of Sewing and Fabric Crafts is the latest release. As always, the book is beautiful to look through and well laid out. It's divided into 2 sections, techniques and projects with a small section for tools and tips at the back. The techniques section is a great reference resource where you can learn skills such as embroidery, applique and fabric dying. You can learn how to set up an efficient sewing space as well. Then come the projects, 150 of them. They all seem pretty straight forward and simple. 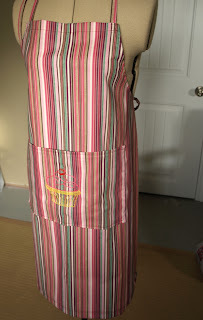 There are instructions for pillows, curtains, aprons, book covers even some simple clothing pieces. The book includes a CD of pdf patterns which is a great help. My daughter is learning to sew and I just let her start tinkering with my sewing machine recently- straight seams so far. No fingers have been lost yet, even though she has a bit of a lead foot. There are quite a few projects appropriate for kids in the book. 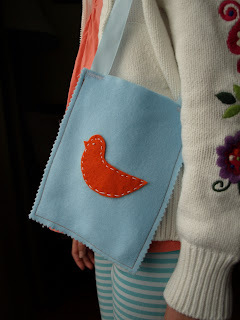 She ended up doing the miniature felt purse project. It's two lessons in one since hand stitching and machine sewing are used. I decided to make the basic apron and incorporated the embroidery technique. 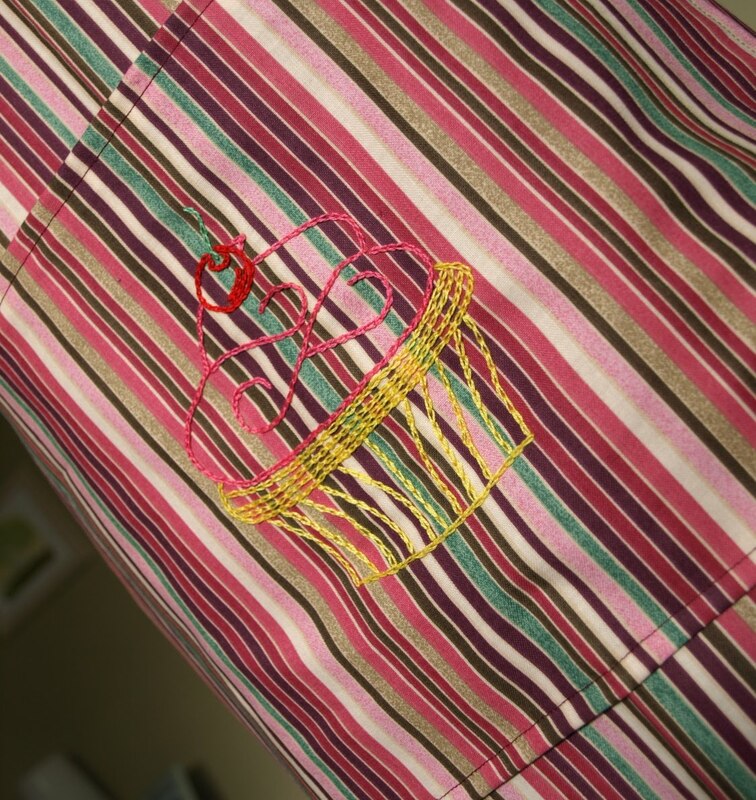 I found a cupcake pattern online from Tricia-Rennea, illustrator and stitched it on the pocket. 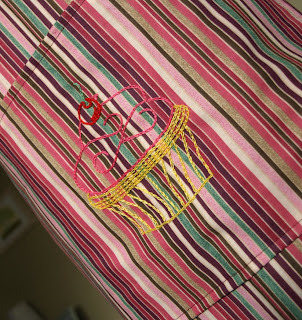 It's a very easy project that only takes a couple of hours not including the embroidery. I liked the results and can't wait to try some other projects like the A-line wrap skirt and the girl's shirt dress. They look adorable. Martha Stewart's Encyclopedia of Sewing and Fabric Crafts would make a great gift for someone who has just bought a sewing machine or someone who would like a good sewing reference book. I like this book more than her Encyclopedia of Crafts simply because it focuses on one craft. I'm quite impressed. The price isn't terrible compared to other sewing reference books either at $43 Cdn. It's a good investment. Highly recommended for Crafty Divas or Dudes.